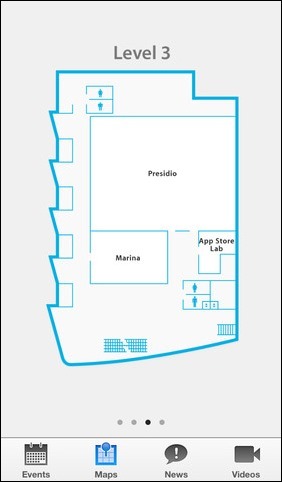 This year’s Worldwide Developers Conference will take place from next week on June 10th, and in anticipation of the event, Apple has just rolled out its official WWDC 2013 app for iOS. As has been the case throughout the past couple of years, the app includes detailed information what is happening where, and is an essential download for anybody interested in keeping up with the coverage. Video clips and breaking news of announcements will also be rolled out much quicker than ever before, so if you don’t want to miss any of the announcements, make sure you check it out after the break. Although we’re not really expecting any significant new hardware besides some possible alterations to the Mac range, there are plenty of reasons to be excited about this year’s WWDC. 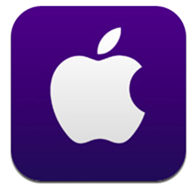 Both iOS 7 and OS X 10.9 are going to be showcased, and with the former having garnered quite a bit of coverage thanks to the interests of Jony Ive on the project this time around, the tech world is very eager to see the results. The Loop’s Jim Dalrymple chimed into the debate last week by suggesting that although iOS 7 will indeed be flatter, the changes won’t perhaps be as radical as is being implied in the media. Still, considering how similar the past few releases have been, it will make a pleasant change to see something fresh, and with now just a week to go until things kick off in San Fran, we really don’t have to wait that long to see the results. OS X has slipped under the radar thanks to the hype surrounding iOS 7, but we would expect a couple of notable improvements to the Cupertino’s desktop OS. It’s certainly not in need of as much attention as its mobile cousin, so we anticipate a little more ‘iOS-ification’ among one or two other minor changes. 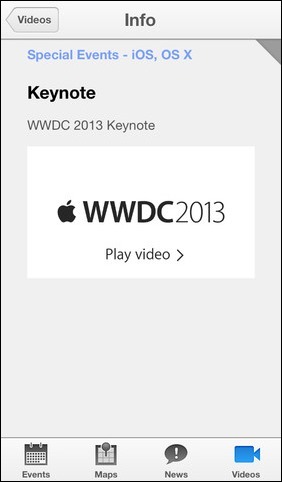 The most epic feature of this app for WWDC 2013 has to be Passbook support. 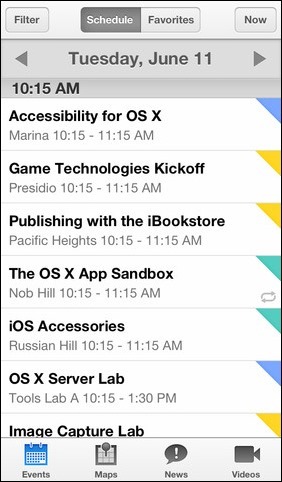 That’s right, passes for session labs. How cool is that? We will, of course, be covering the event in its entirety, so make sure you stay tuned to our coverage here at Redmond Pie for more news as it unfolds!